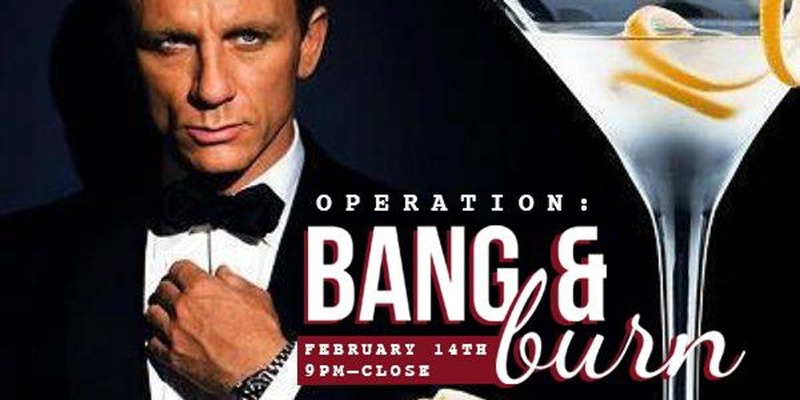 Bang & Burn Anti- Valentine's Day Party! Bring an item that reminds you of your ex to destroy in a fiery inferno. Those who bring an item to burn will be entered in to WIN A $100 BAR TAB to use in the future. Must be present to win. You've loved and you've lost. Now let it go at Operation: Bang and Burn.